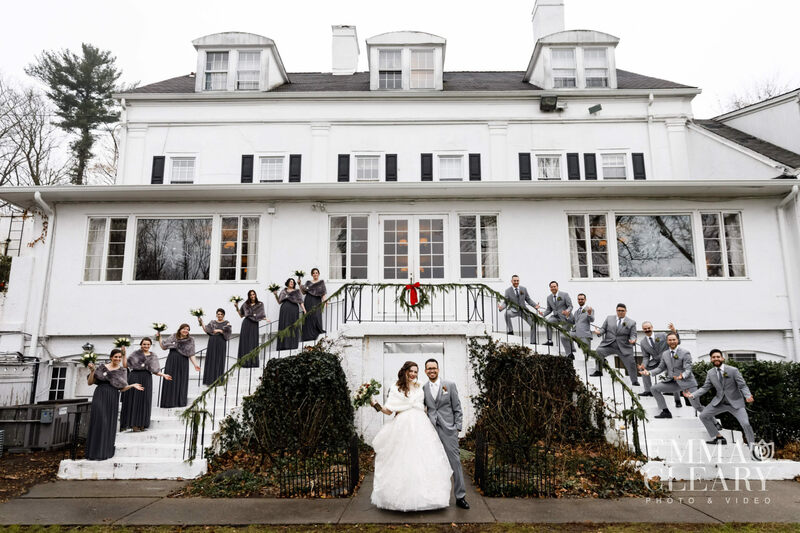 I visited Crabtree’s Kittle House for a weekend away from the city last winter. 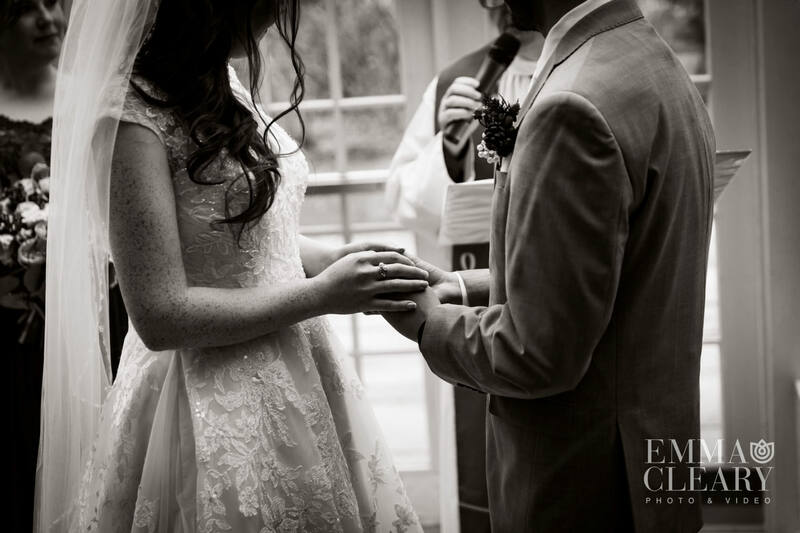 Little did I know at the time that I would be back there the following year to shoot this beautiful wedding. 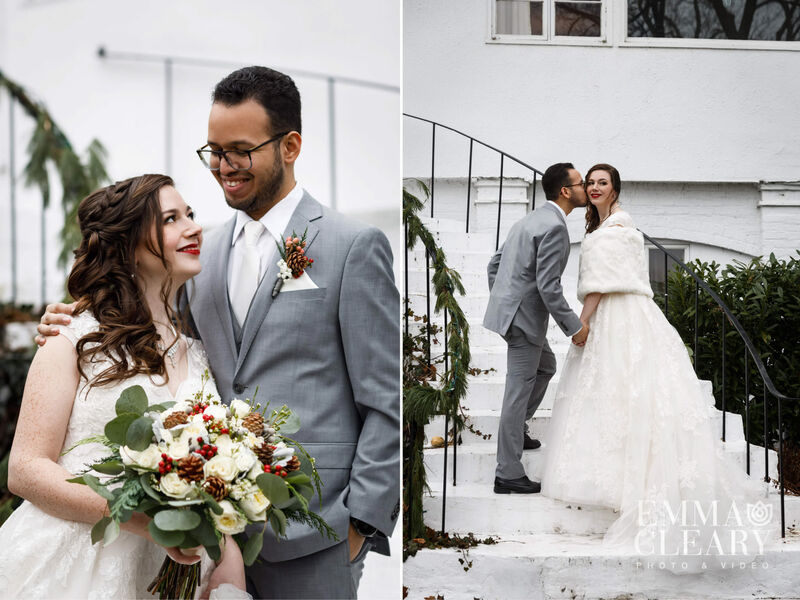 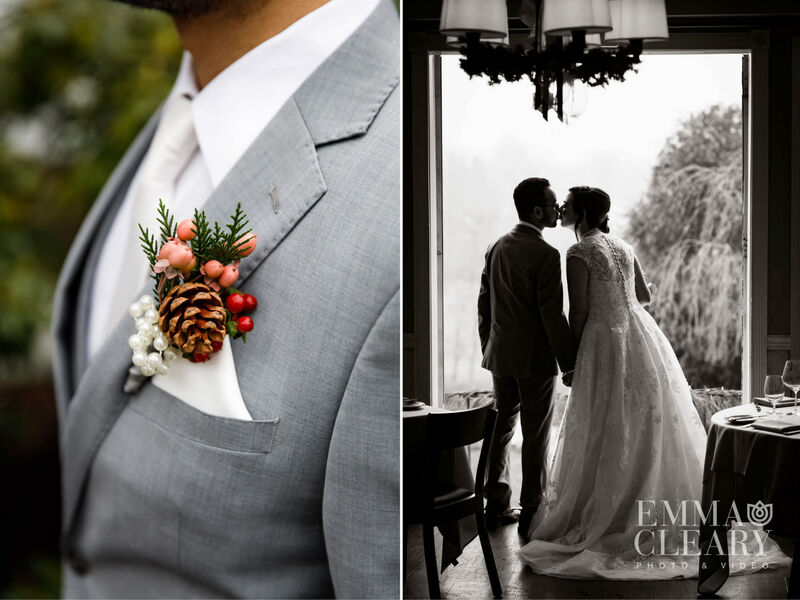 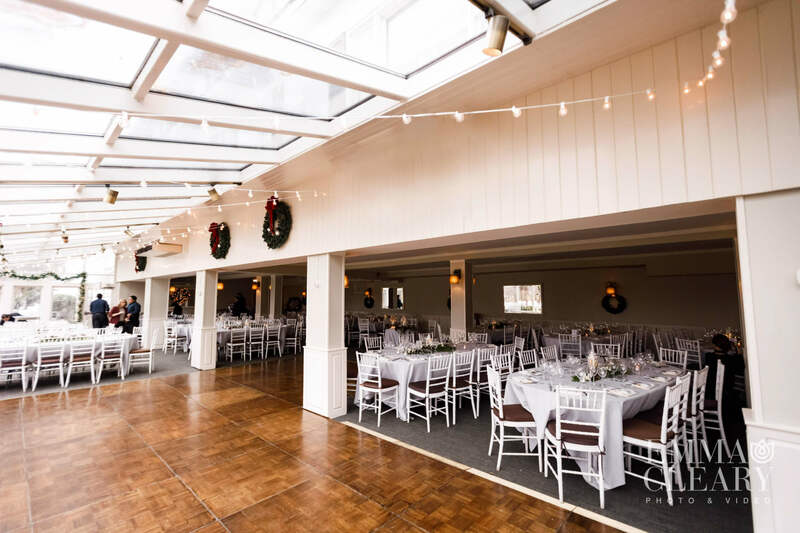 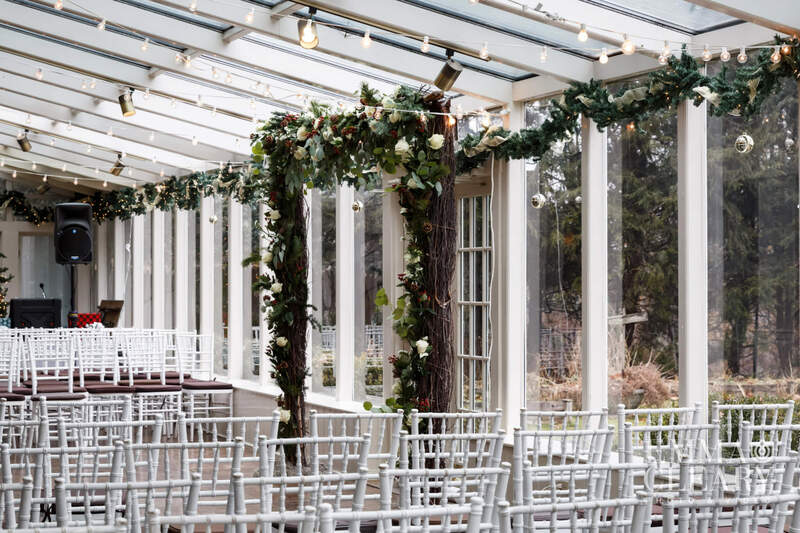 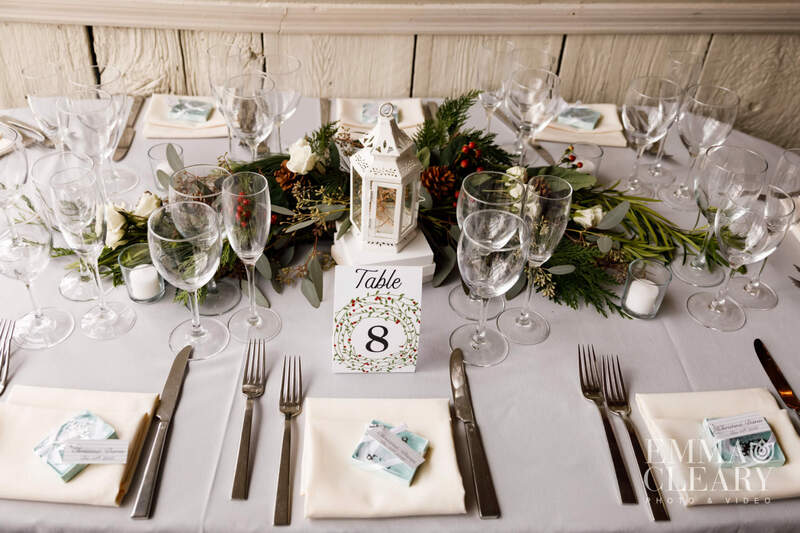 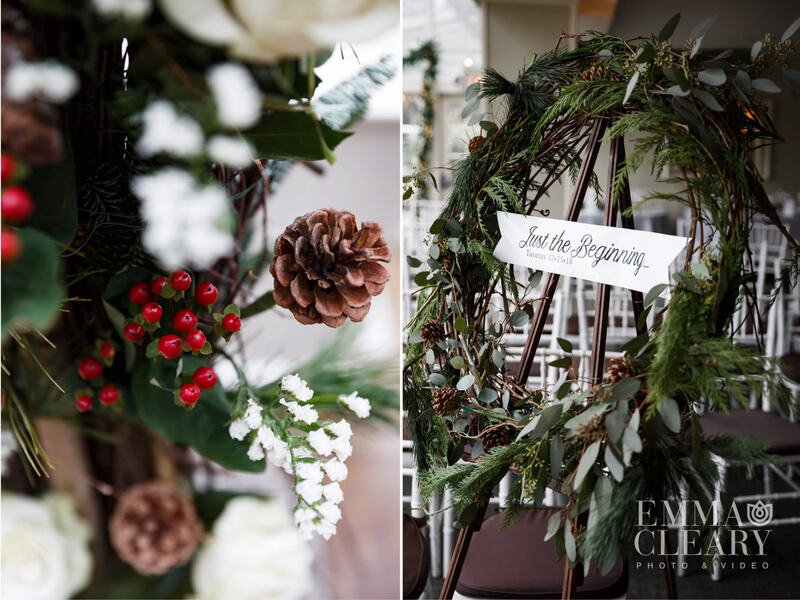 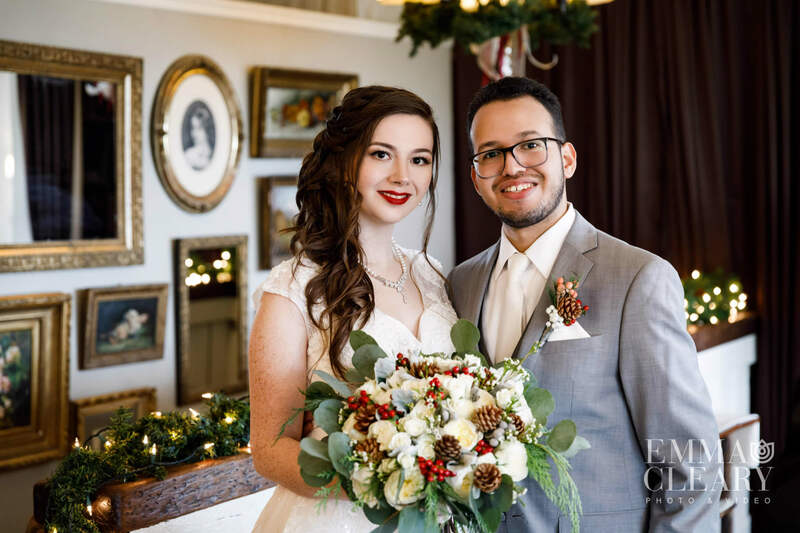 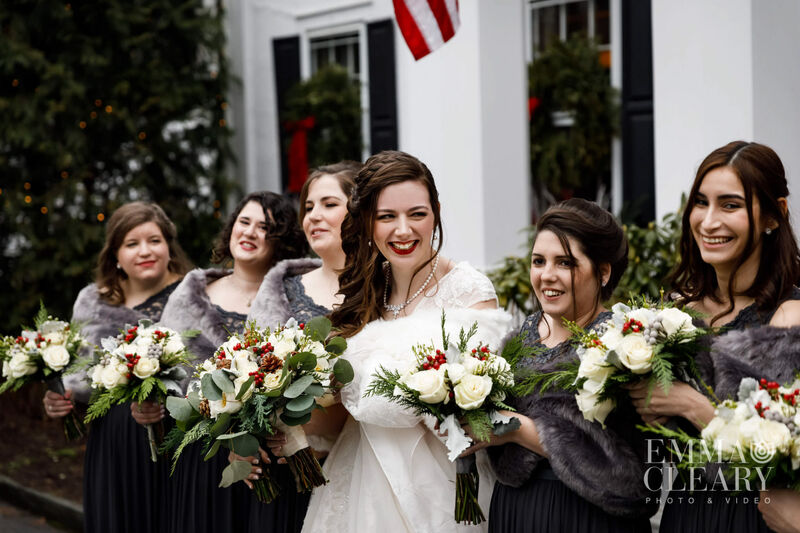 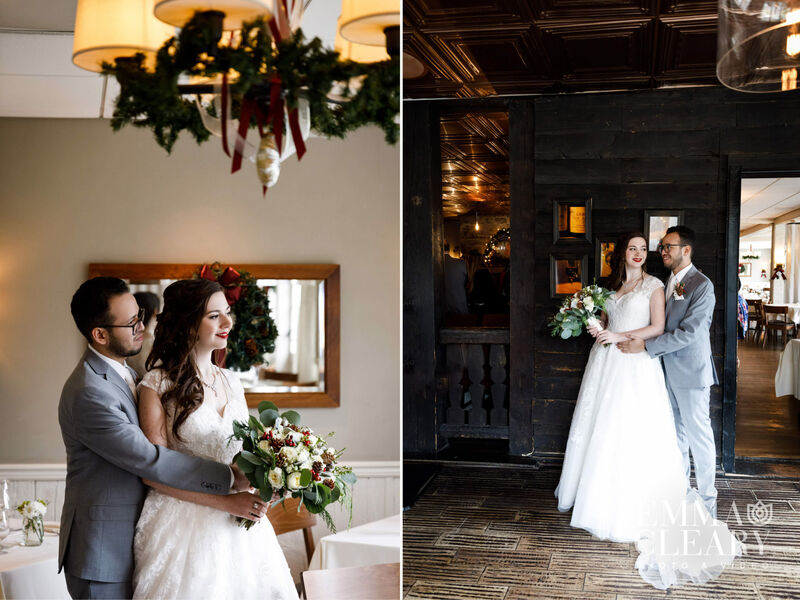 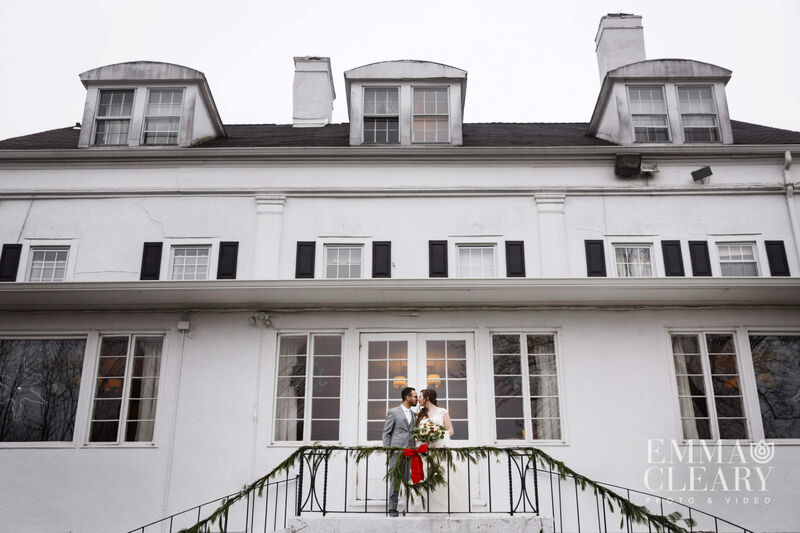 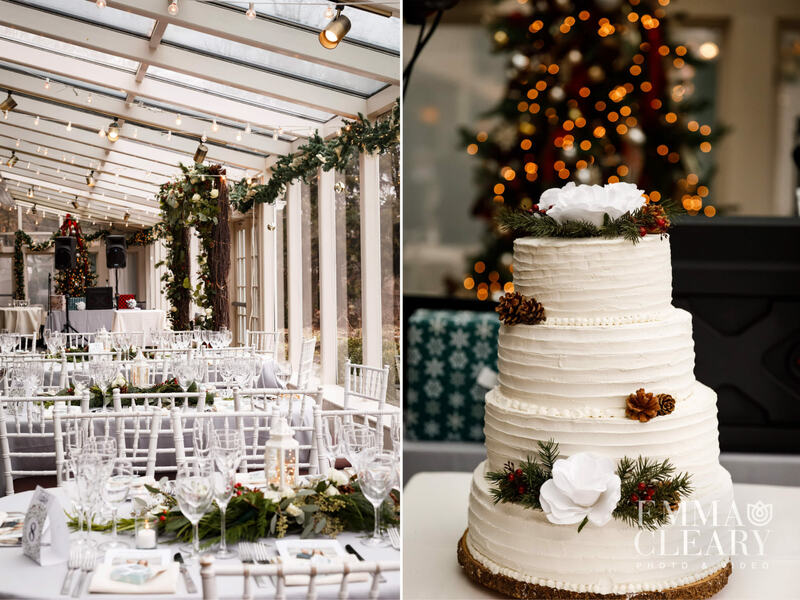 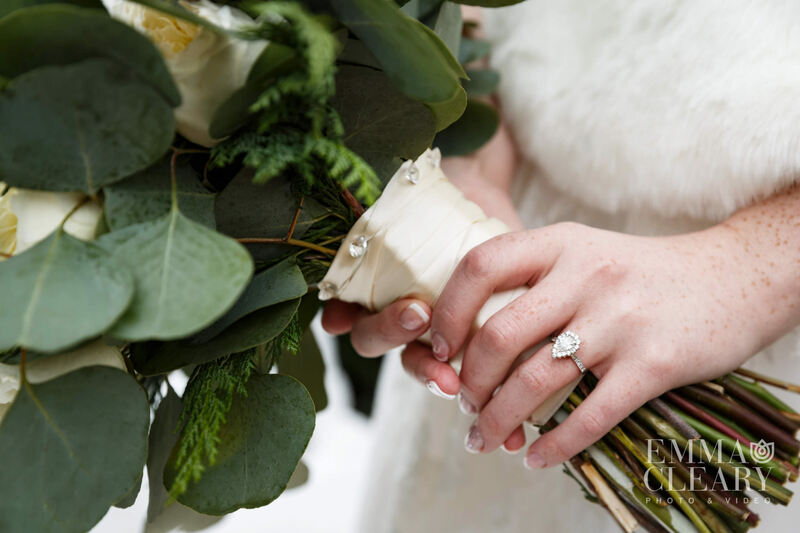 Kittle House’s cozy atmosphere, complete with fireplaces, a piano, and plenty of holiday decorations lends itself to winter weddings. 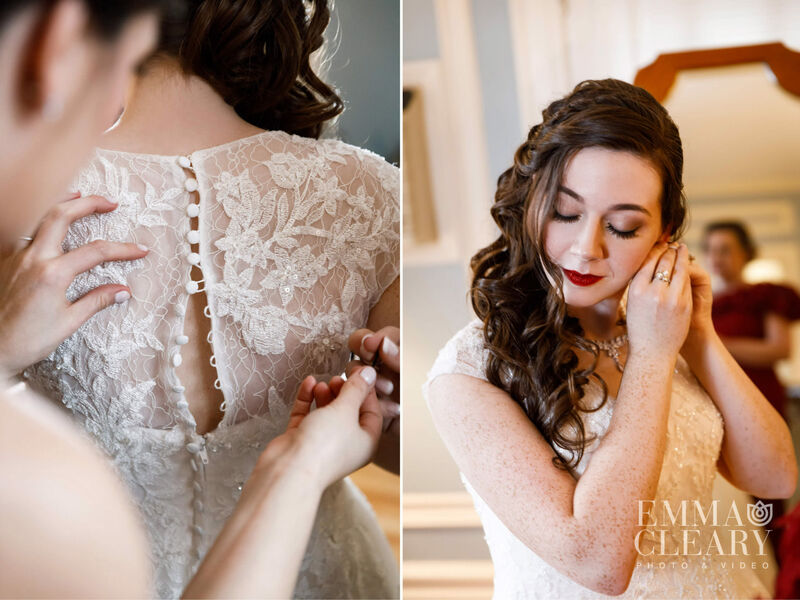 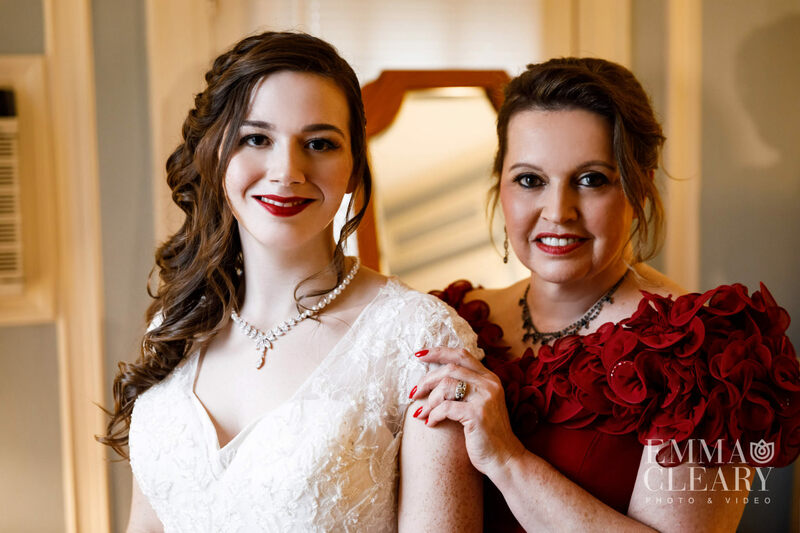 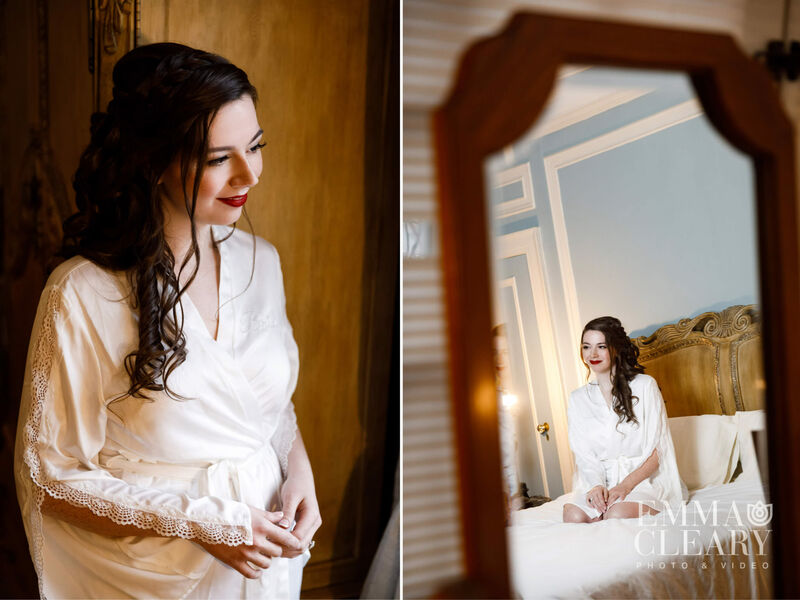 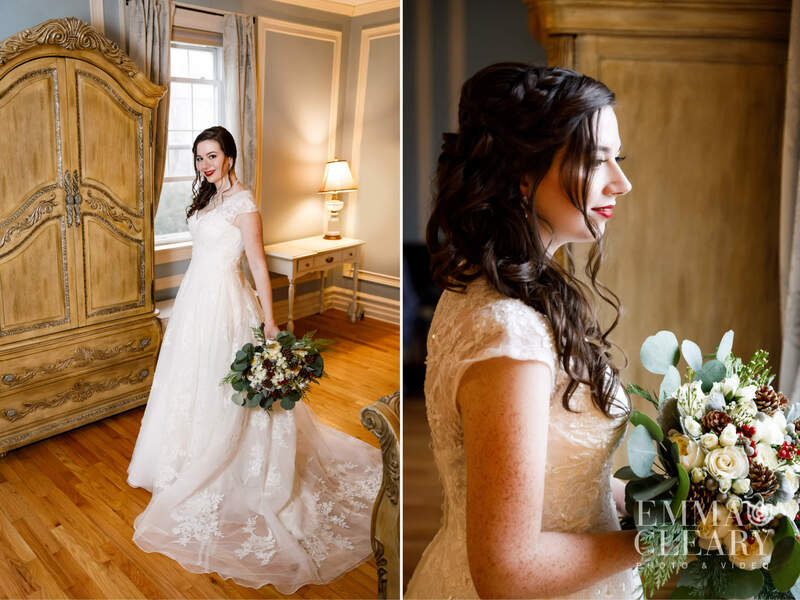 I photographed Christina as her makeup artist applied the finishing touches to her look and she slipped into her lovely wedding dress, while Asya photographed Daren preparing, each in one of Kittle House’s guest rooms. 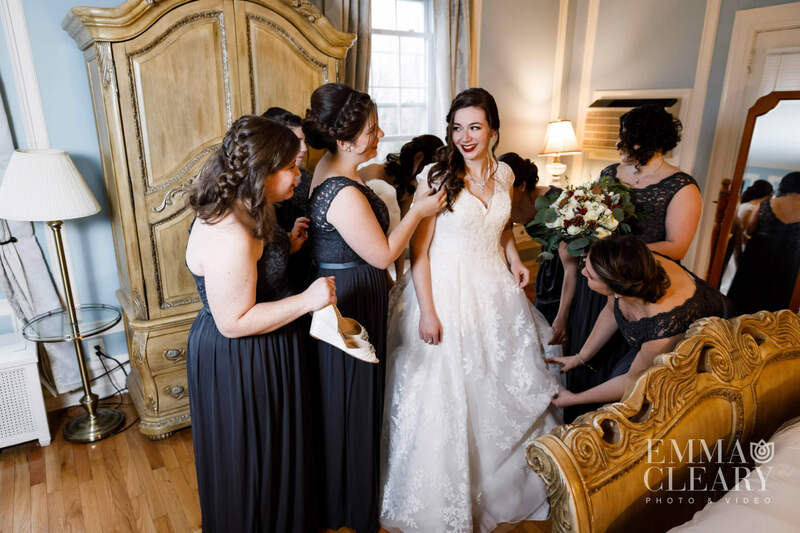 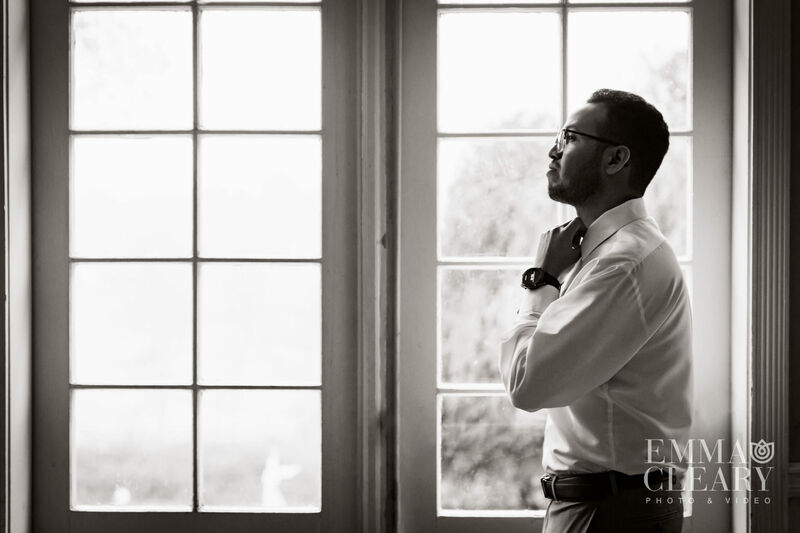 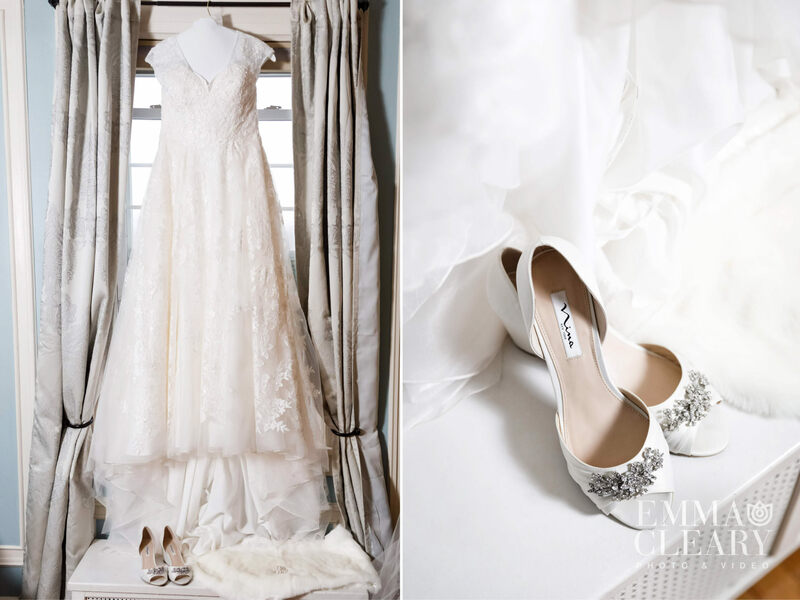 Christina descended the stairs behind the building as Daren saw his bride for the first time. 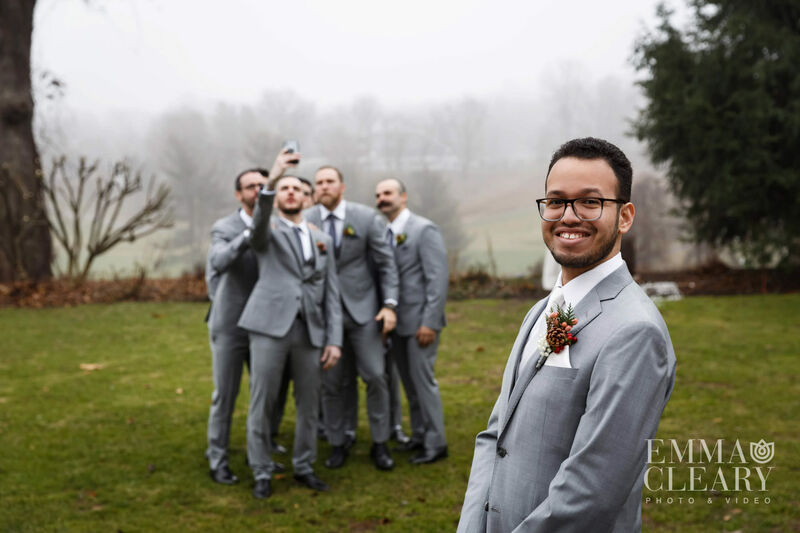 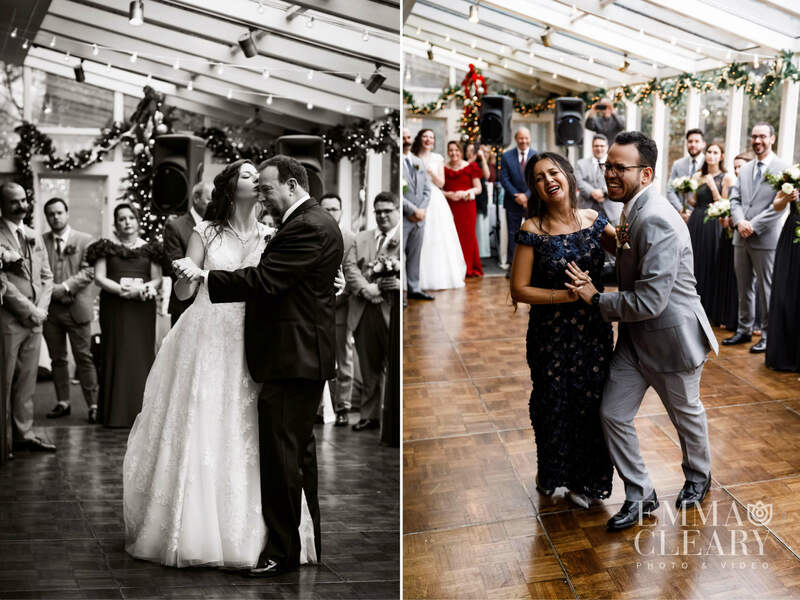 We captured the couple in various poses before bringing the bridal party in on the fun. 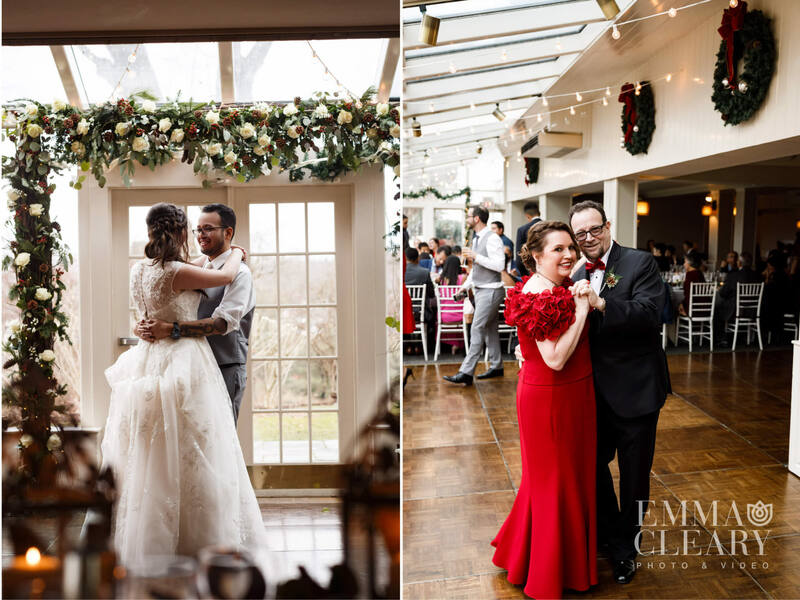 We then got some great shots in the front and back of Kittle House, using the holiday decor to add a bit of color and festivity to the photographs. 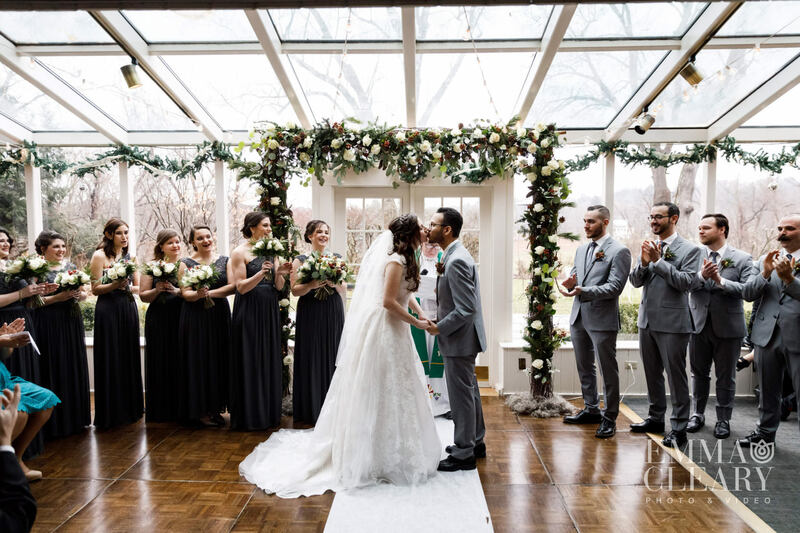 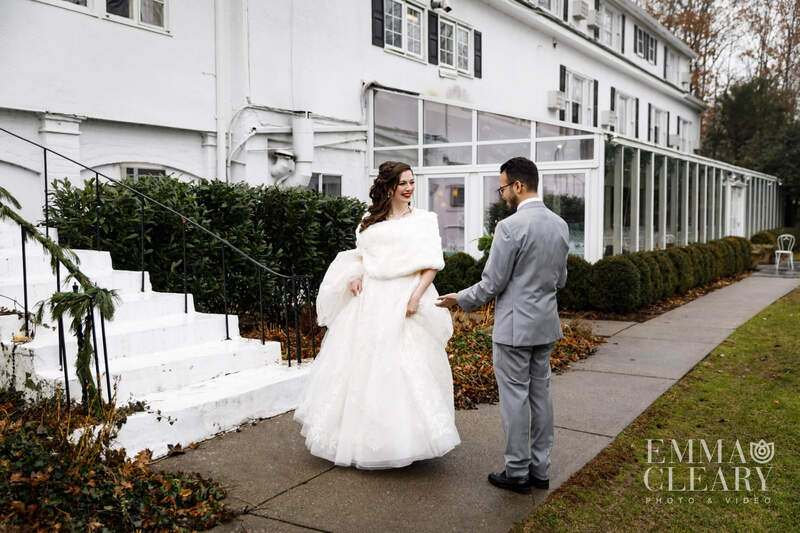 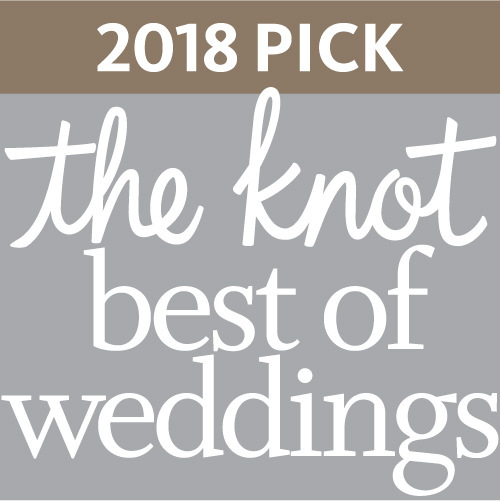 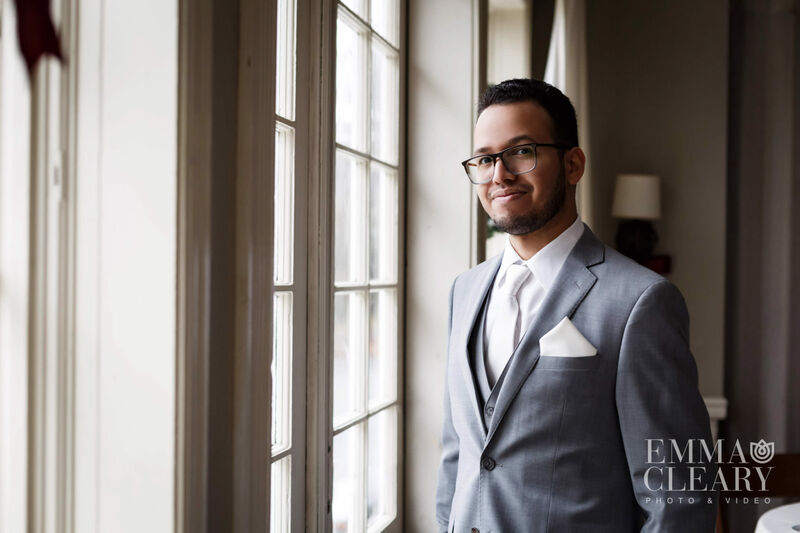 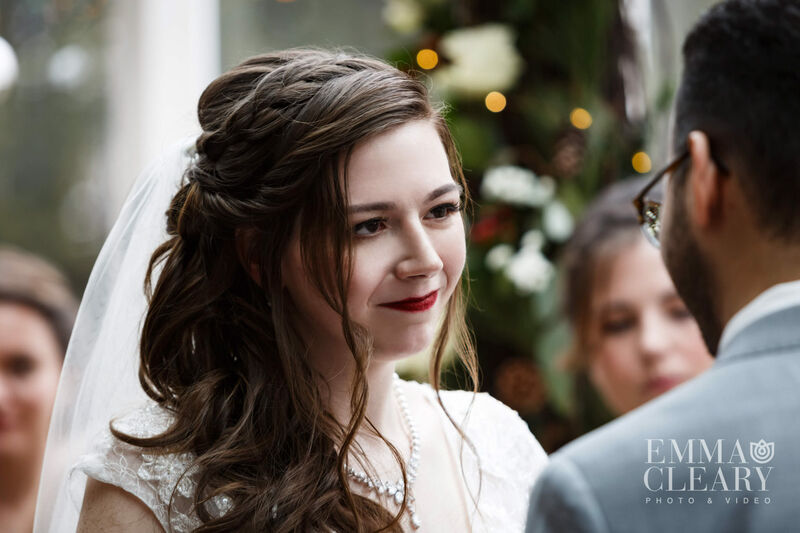 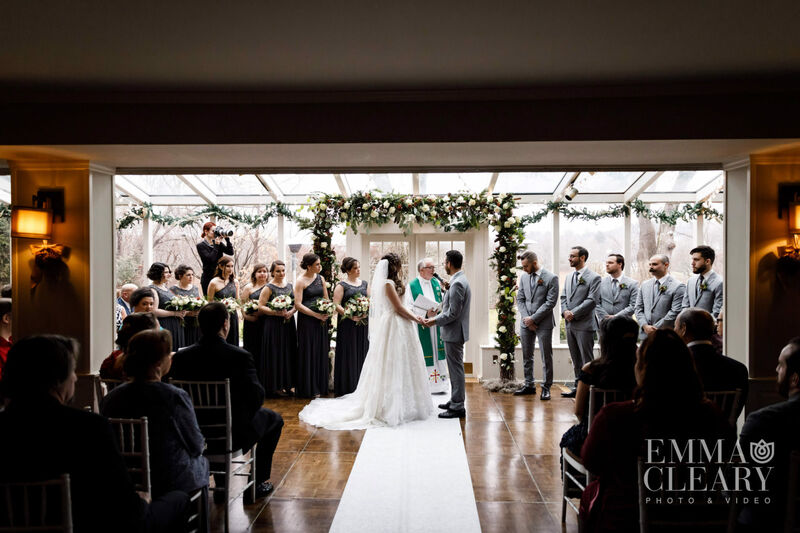 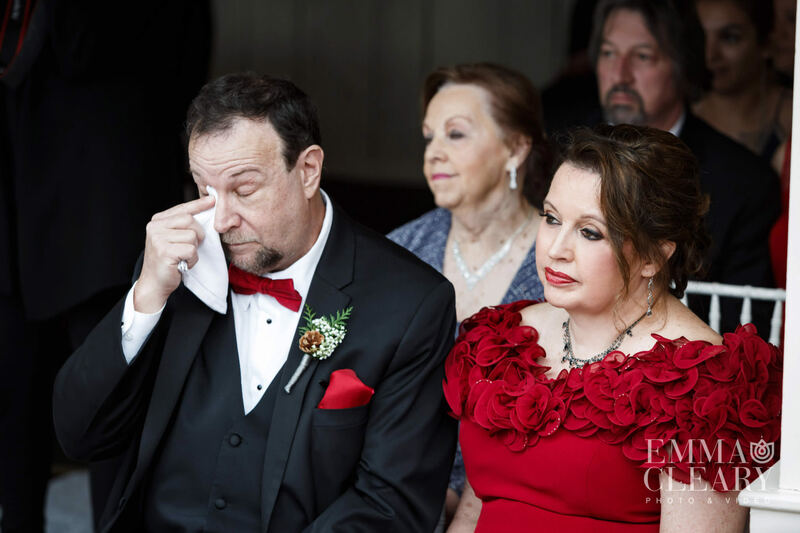 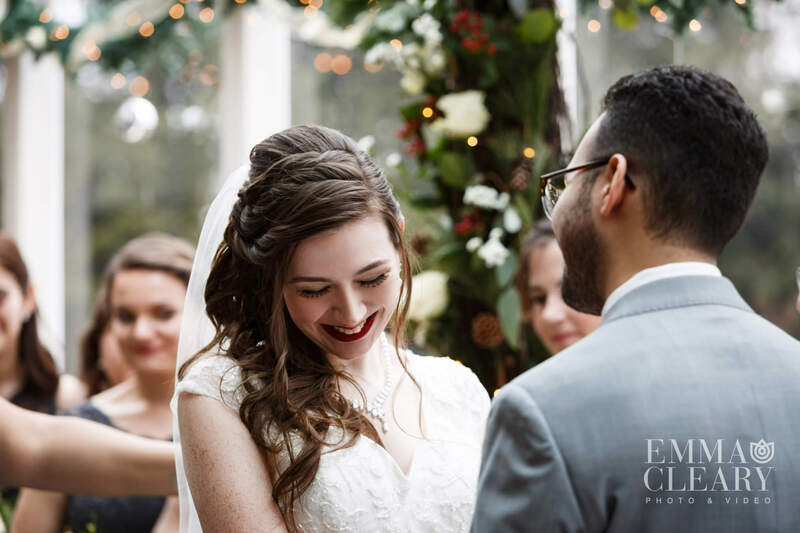 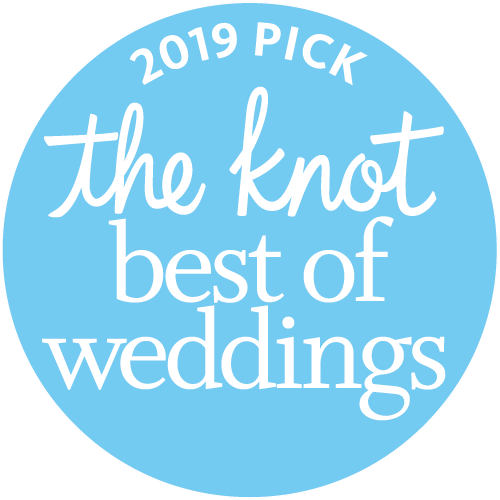 The ceremony was held in Kittle House’s Carriage Room, a glass-enclosed space with abundant natural light, making it ideal for wedding photography. 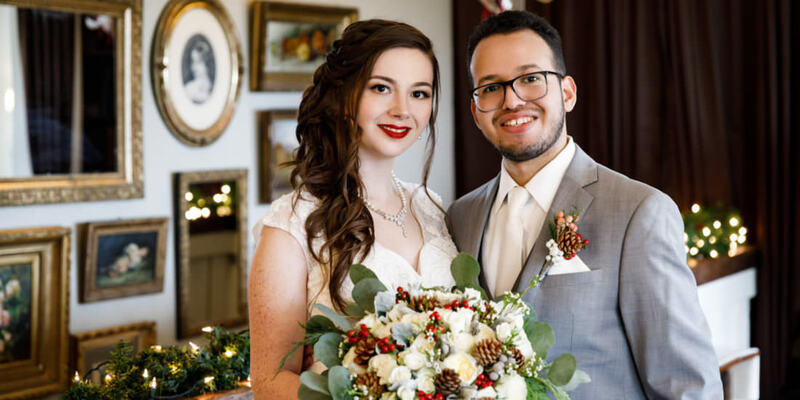 After Christina and Daren said their “I Do’s,” guests were escorted to the cozy Tap Room for cocktail hour. 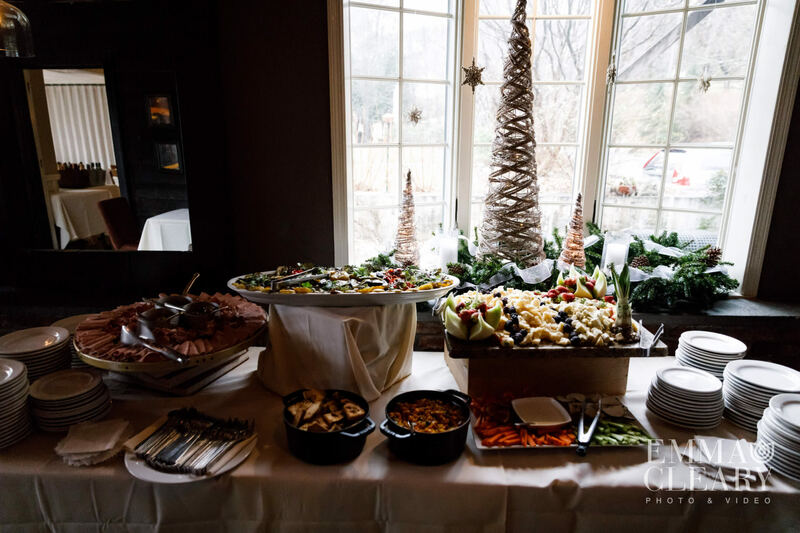 A pianist played for mingling guests while they enjoyed the food stations and passed hors d’oeuvres. 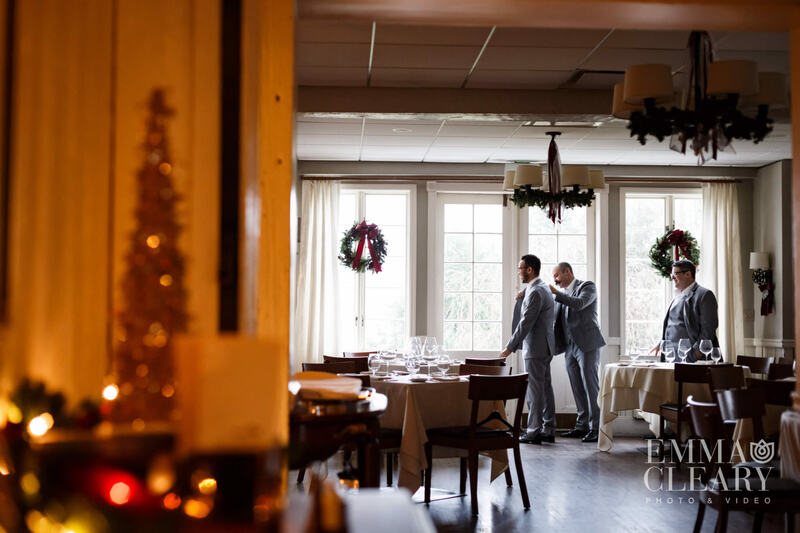 Meanwhile, Kittle House’s talented team transformed the Carriage Room into a beautiful dining experience. 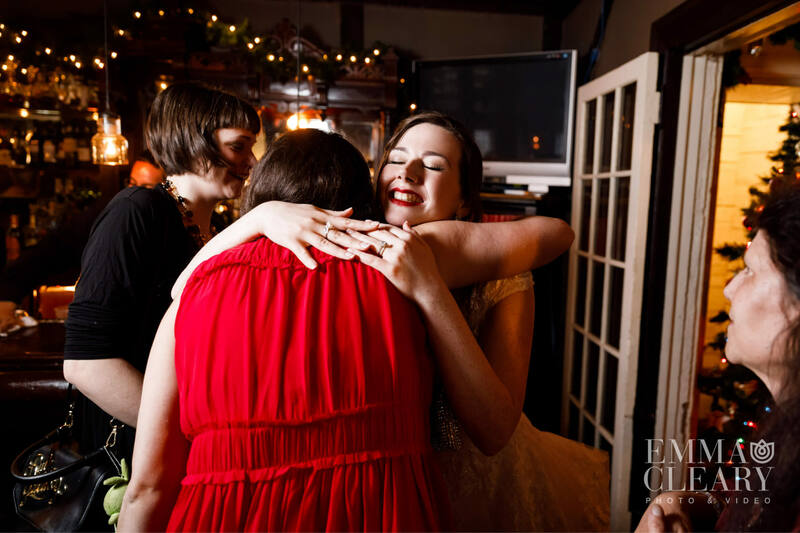 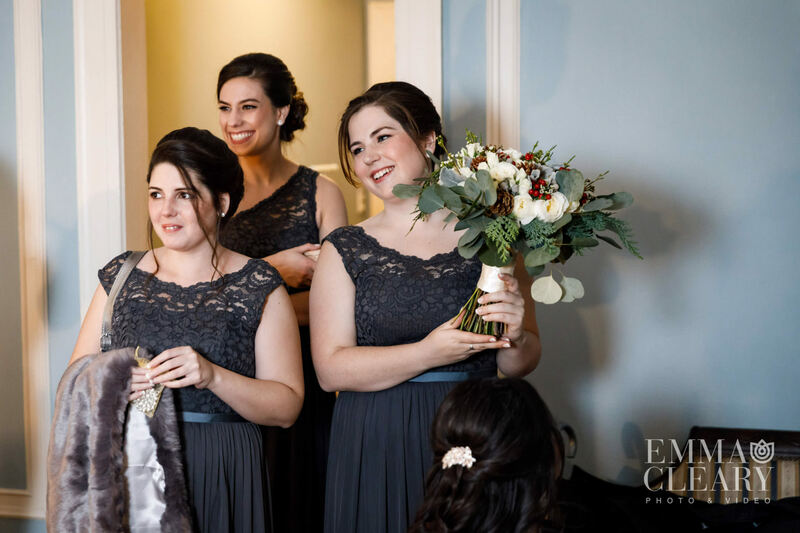 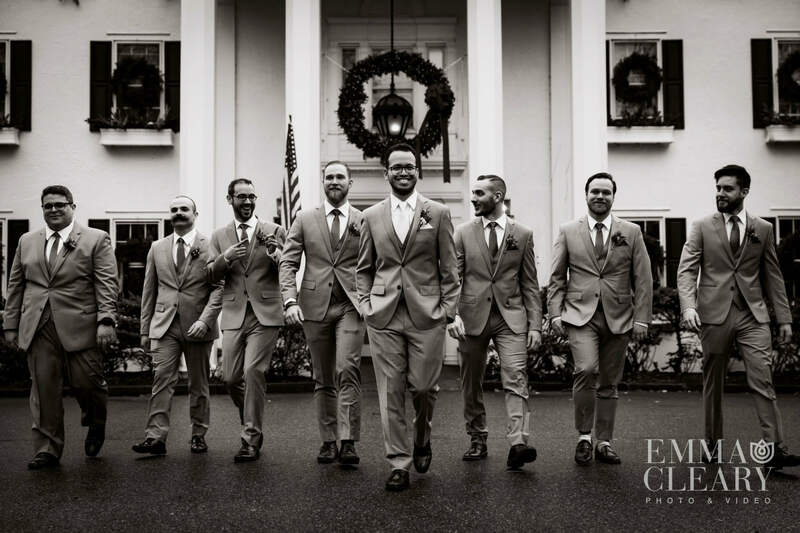 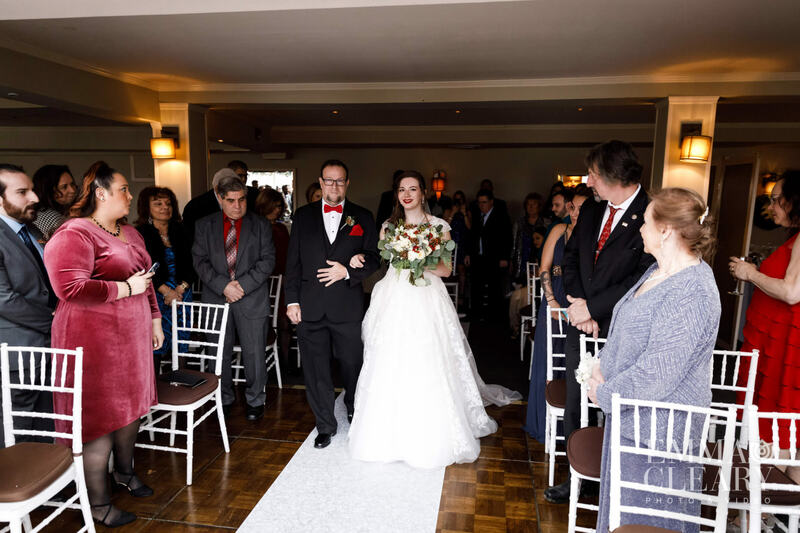 Once the room was ready, guests were welcomed and the bridal party made their grand entrance. 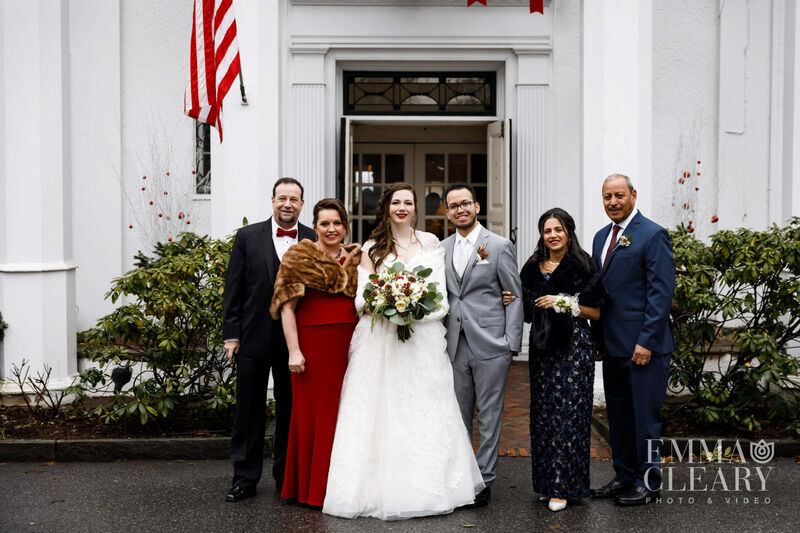 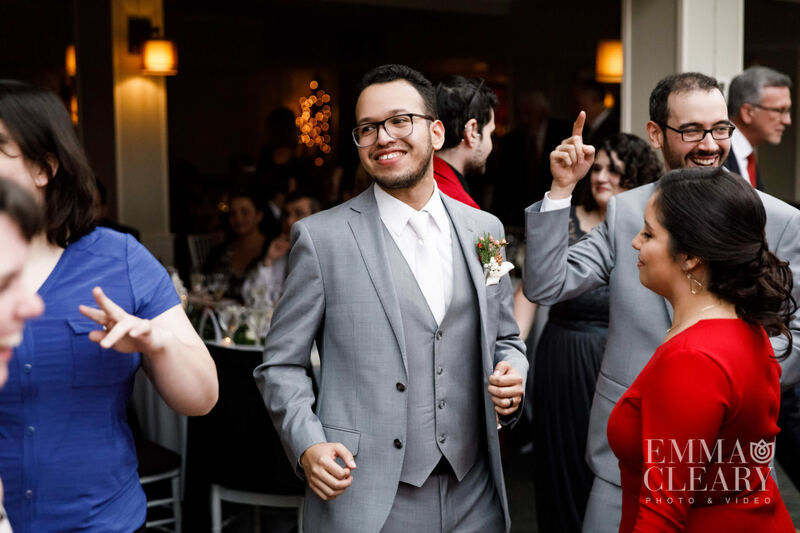 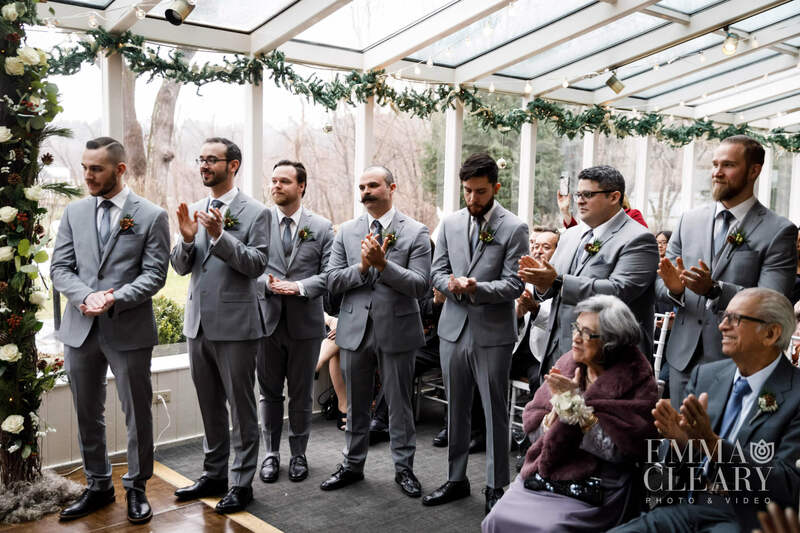 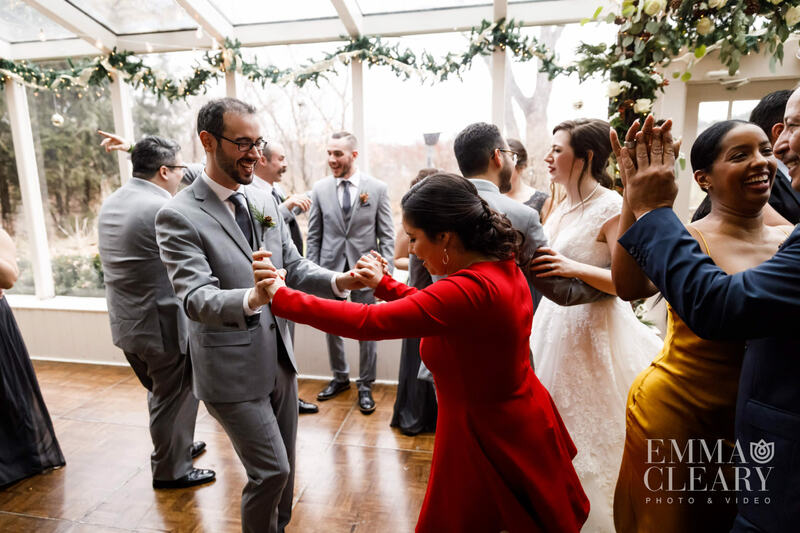 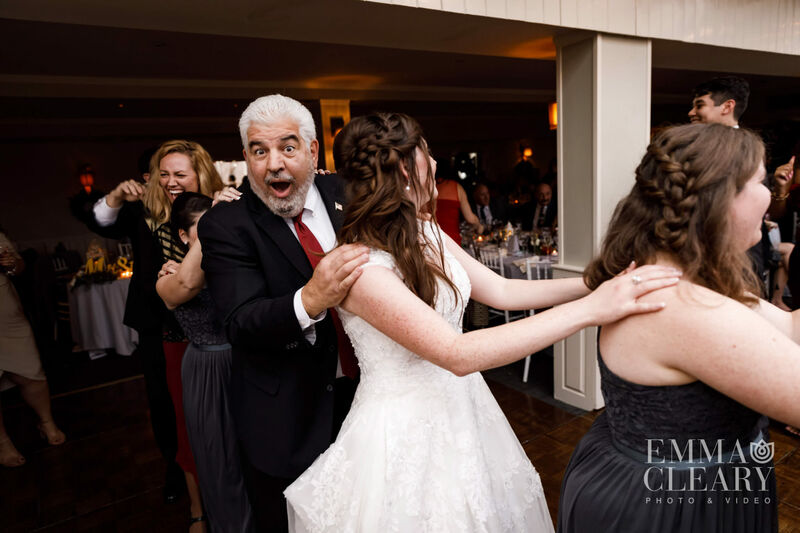 Christina and Daren’s guests danced to a mixture of Latin and American music and their families enjoyed mingling on the dance floor, before bonding over touching speeches and sentiments. 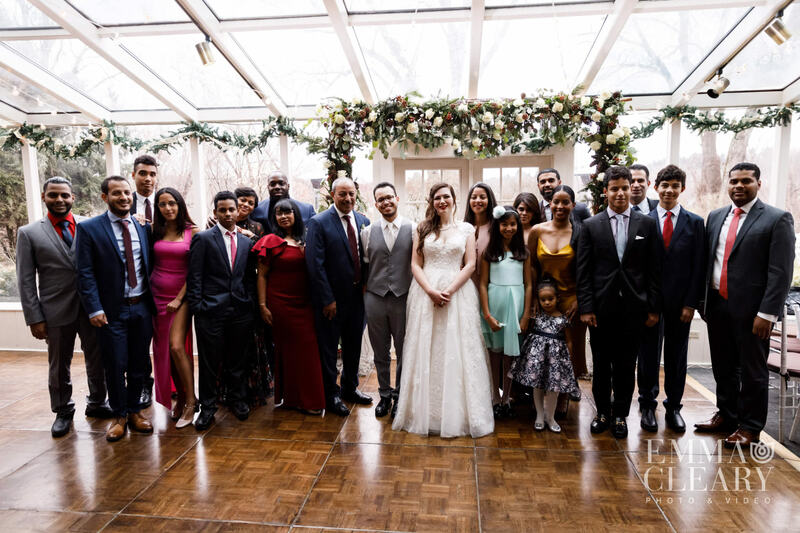 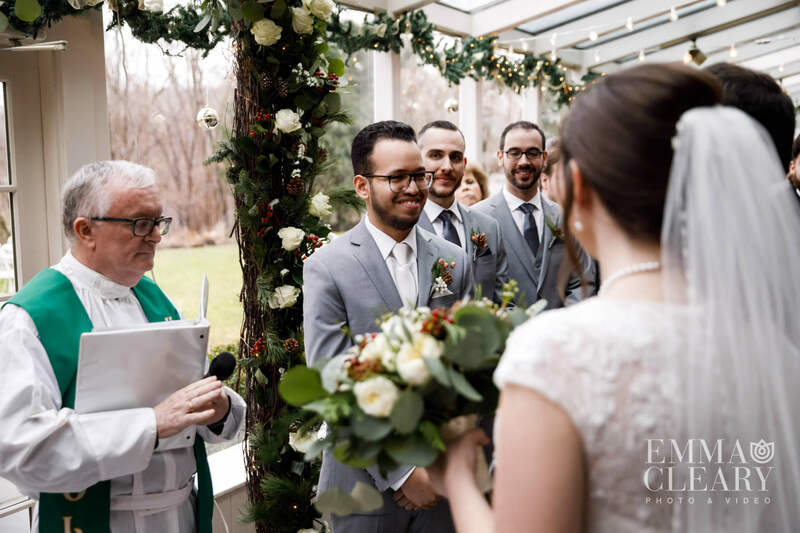 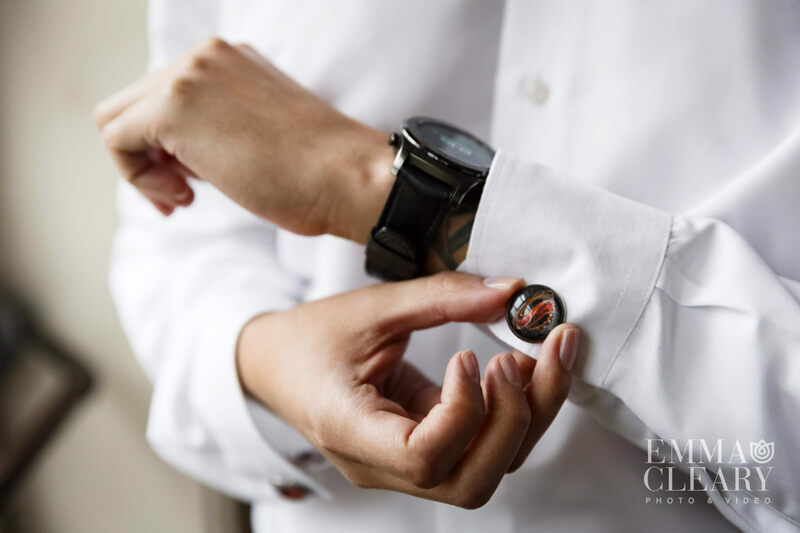 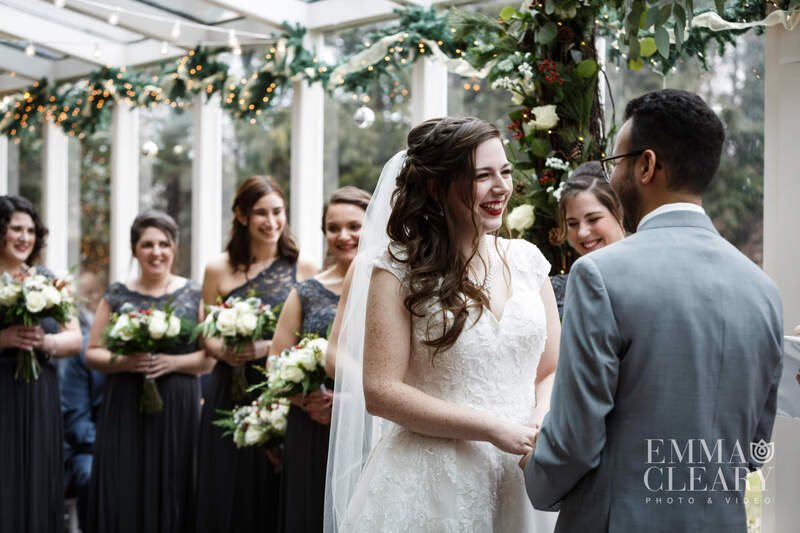 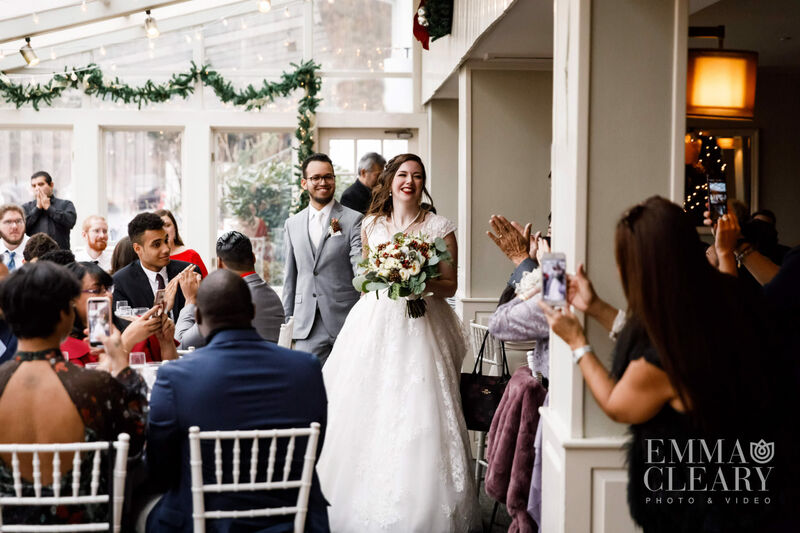 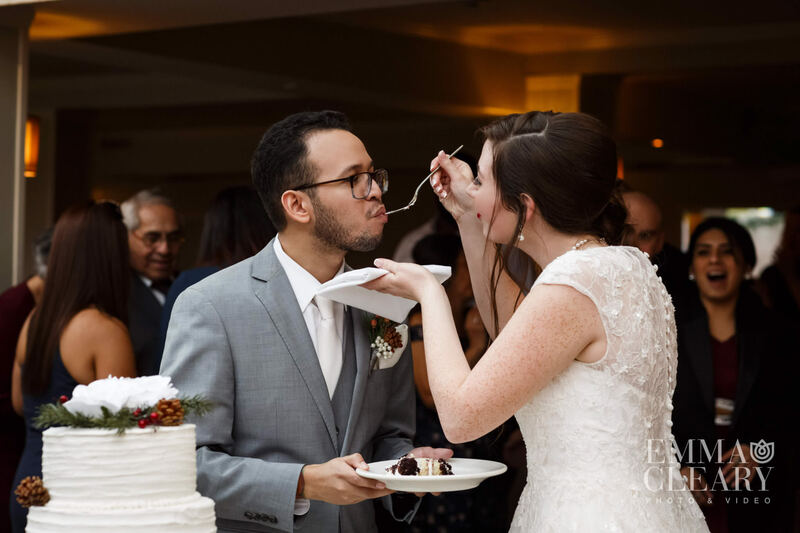 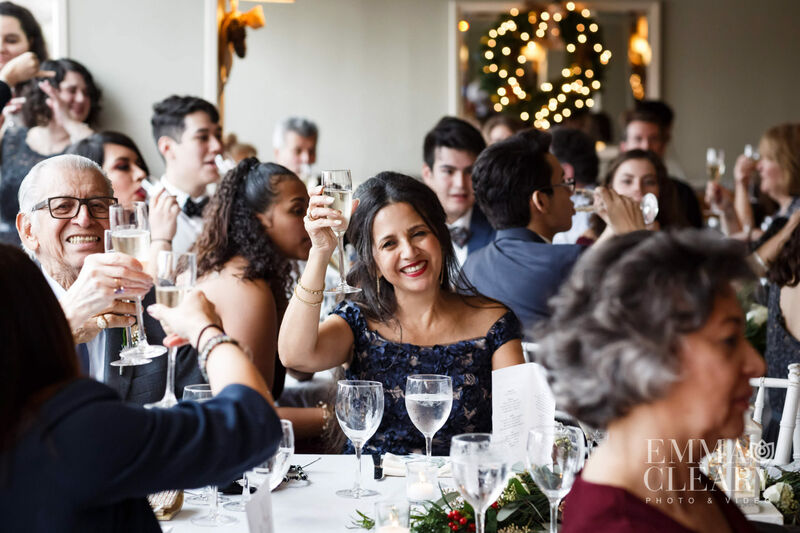 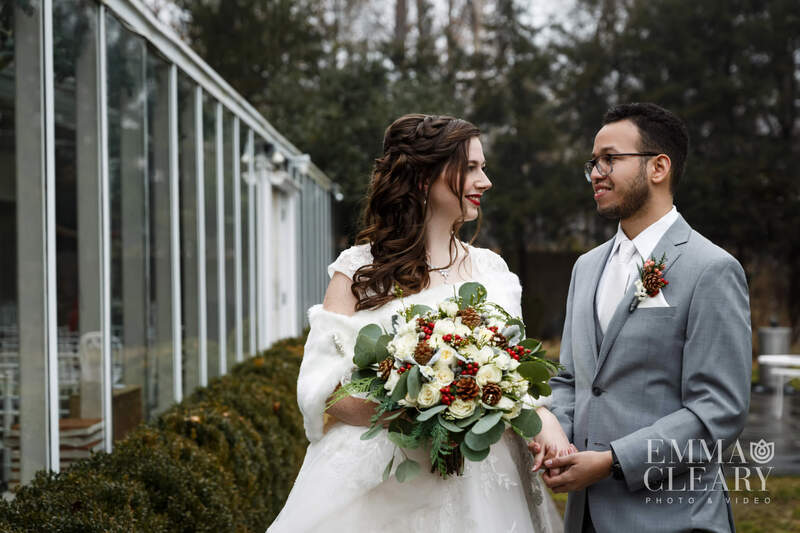 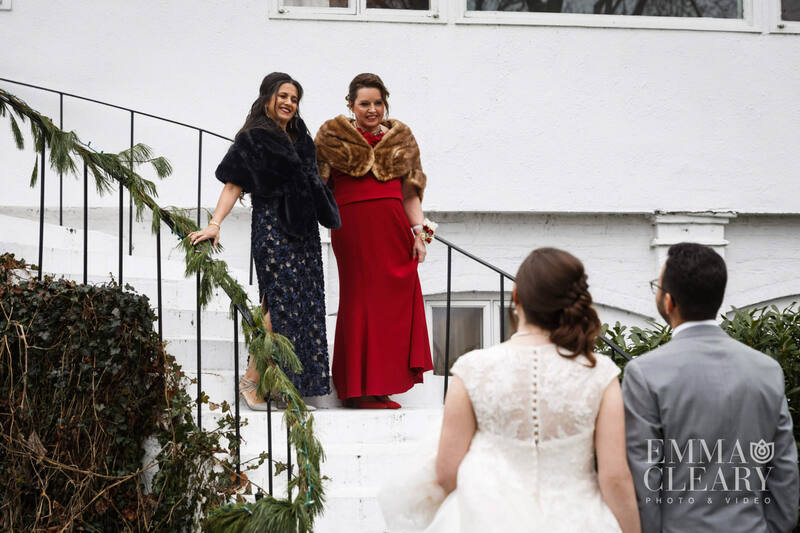 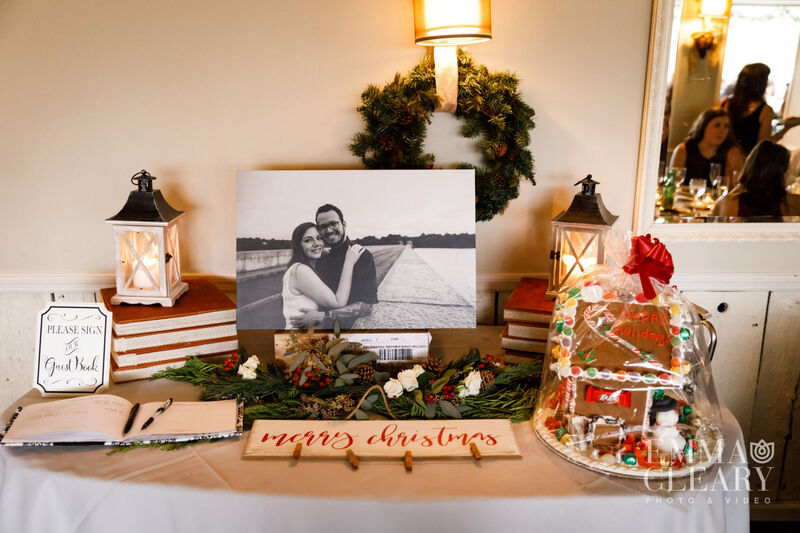 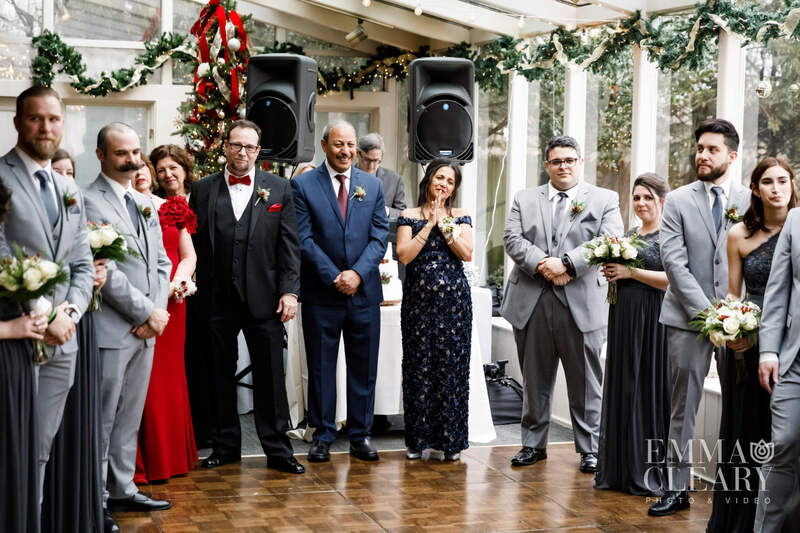 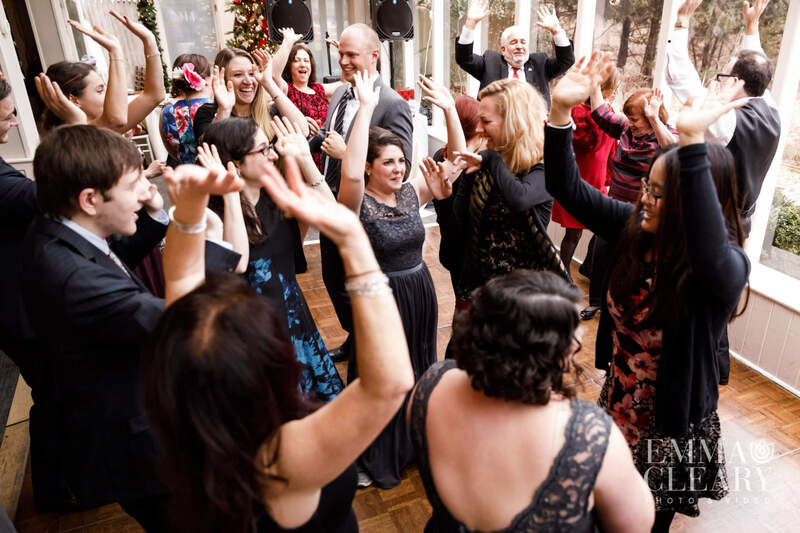 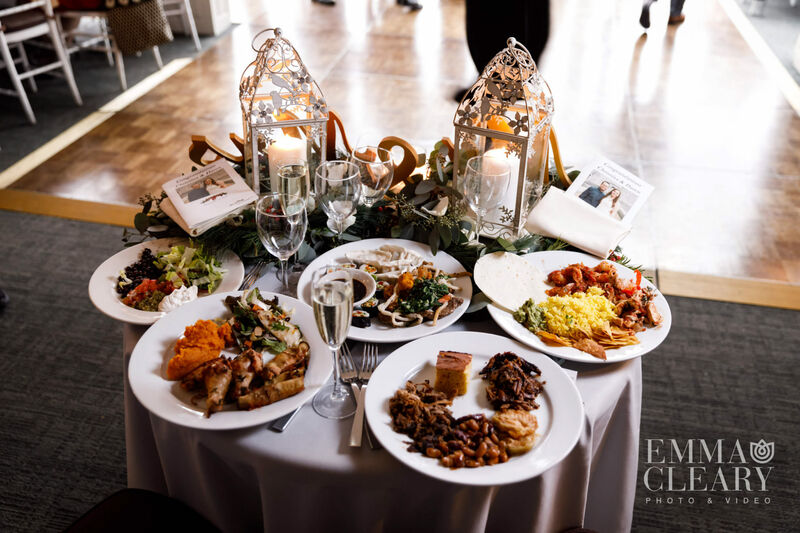 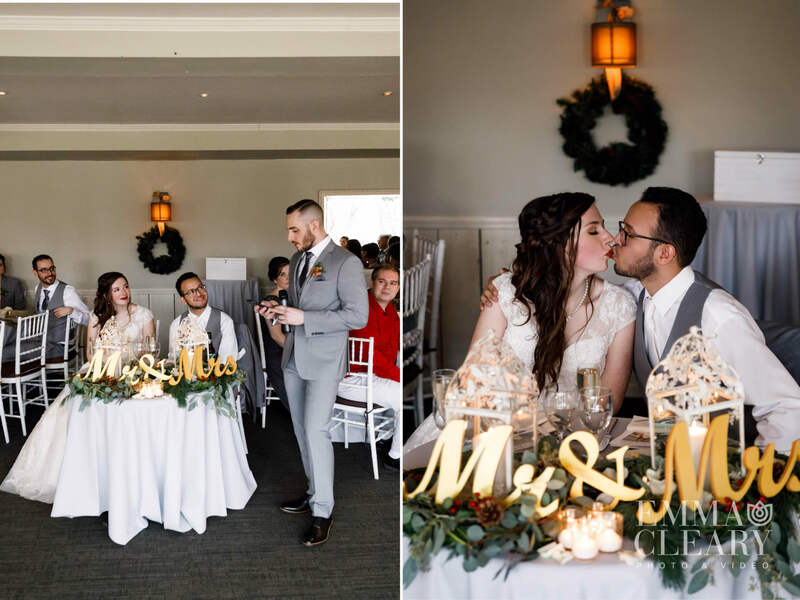 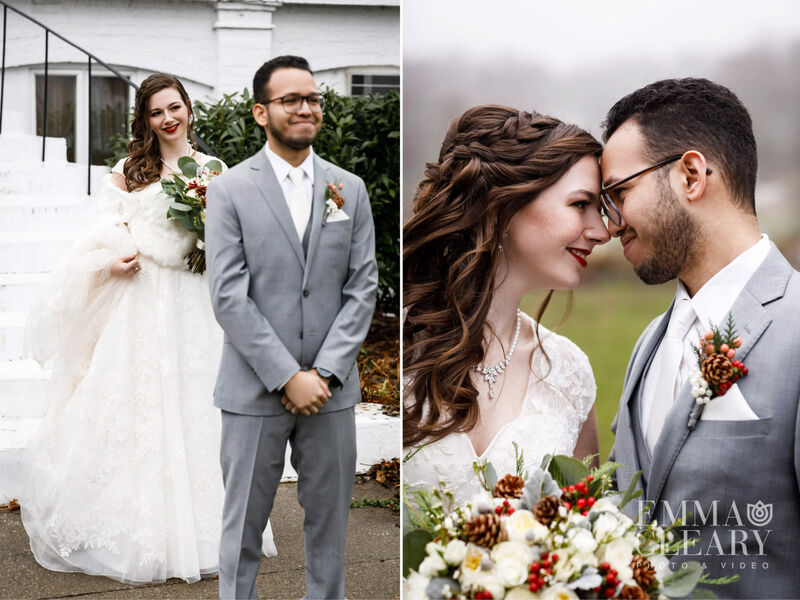 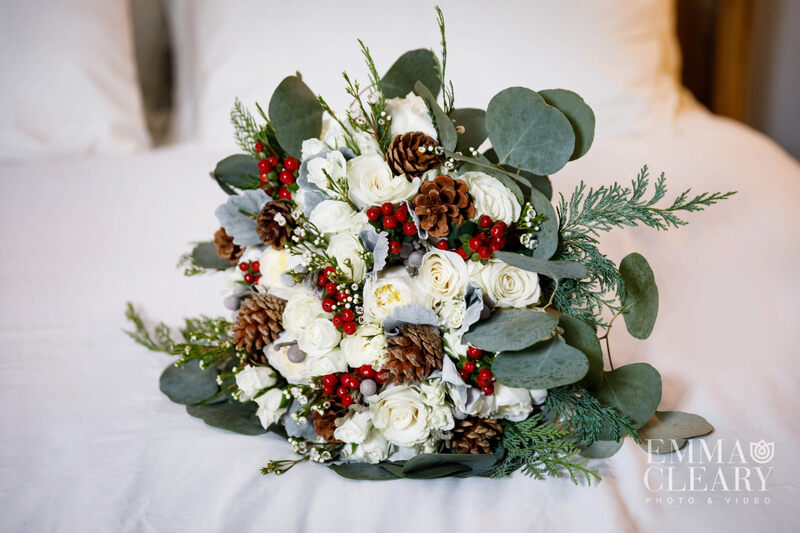 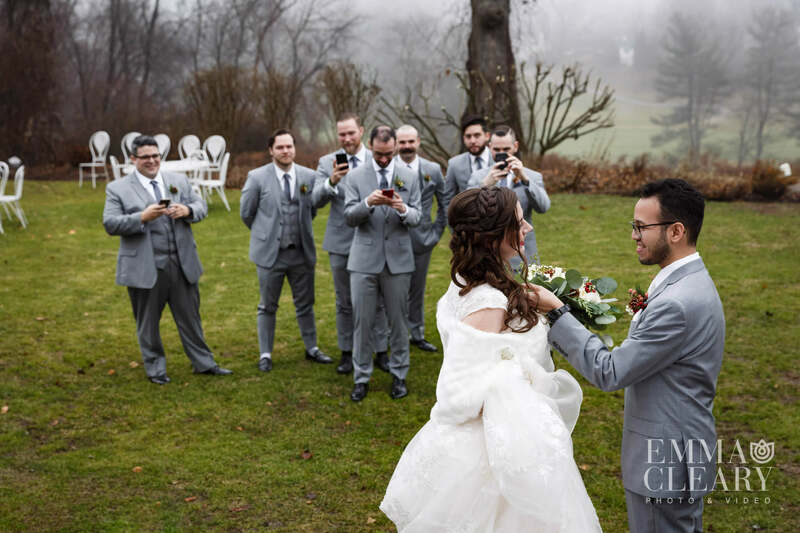 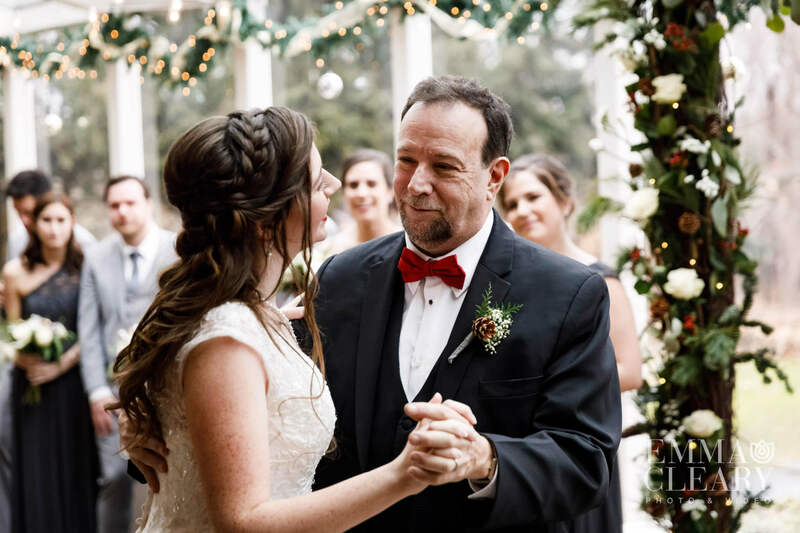 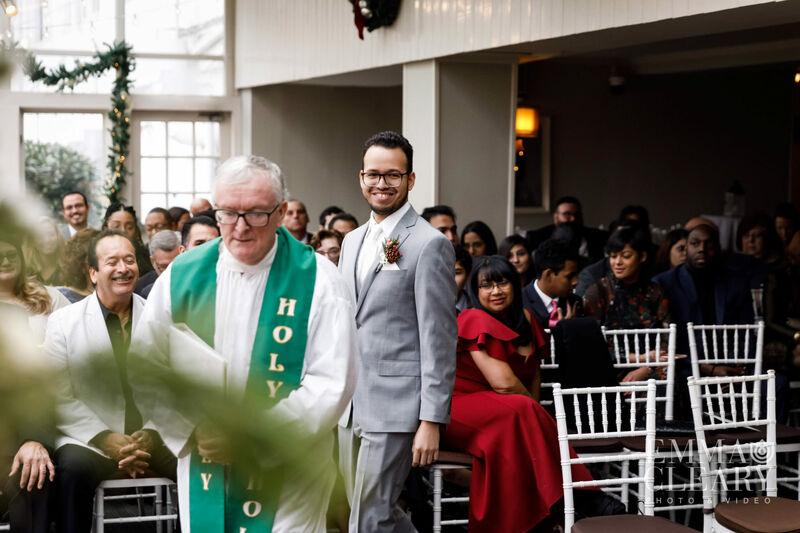 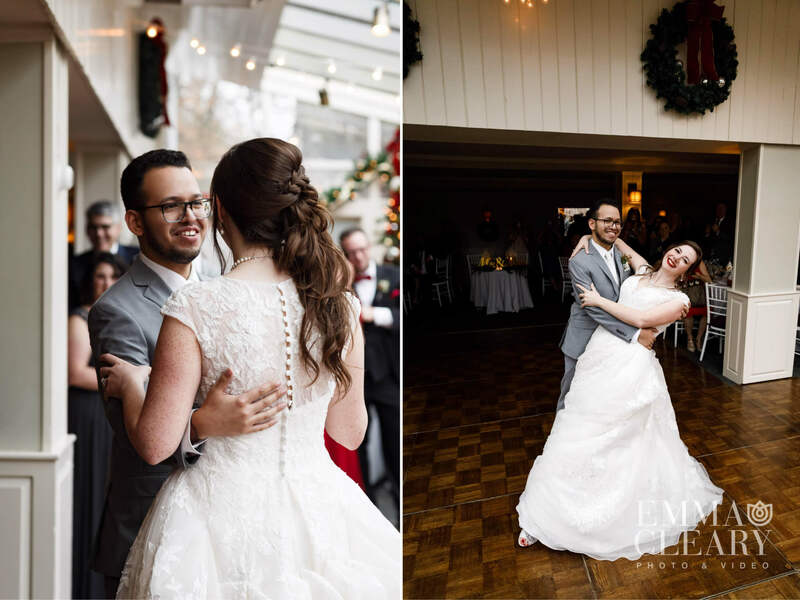 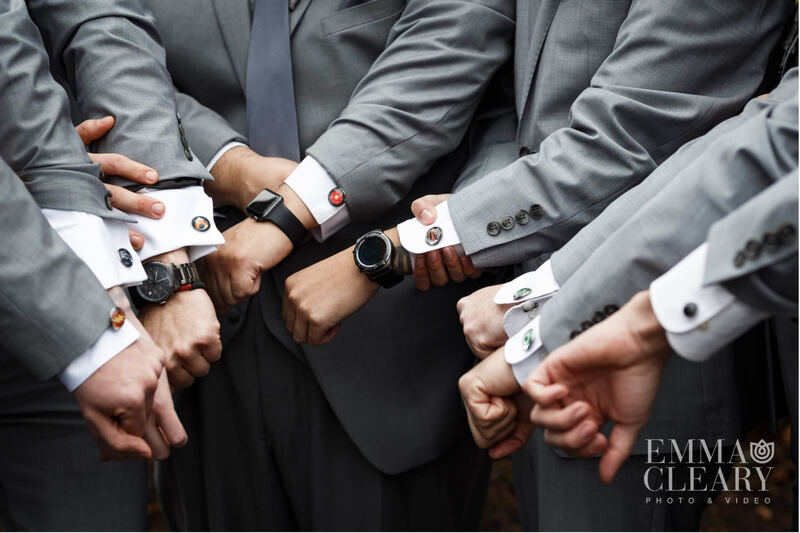 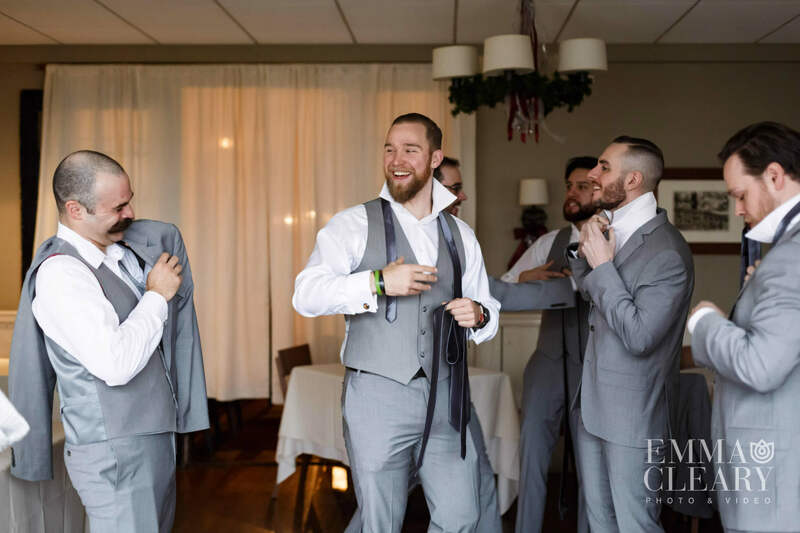 As the wedding came to an end, Christina and Daren’s guests had shared a special day and kicked off the holiday season with a great celebration.